2. 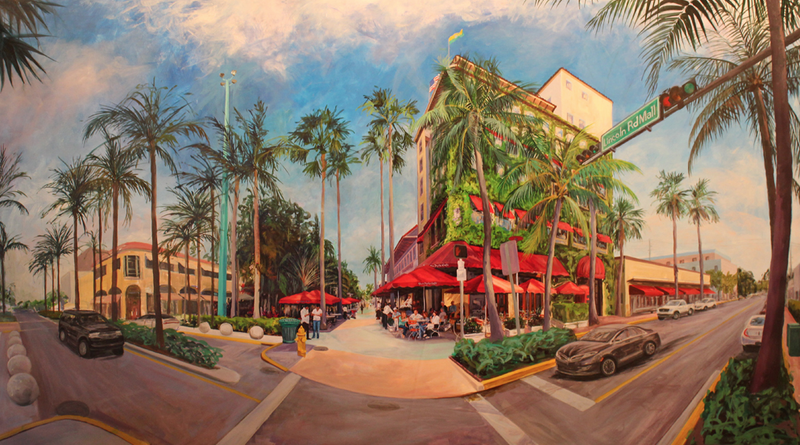 The Lincoln Motor Company, Presenting Sponsor of the festival, will be awarding a limited number of quality collector edition posters of “Lincoln Road”, a painting created by participating artist April Davis. The original painting measuring 8 feet x 5 feet, will be on display in April’s booth, across from The Lincoln Motor Company display. April will sign each poster for patrons if they stop by her booth. In addition, festival-goers will have the opportunity to register to win two additional giveaways. 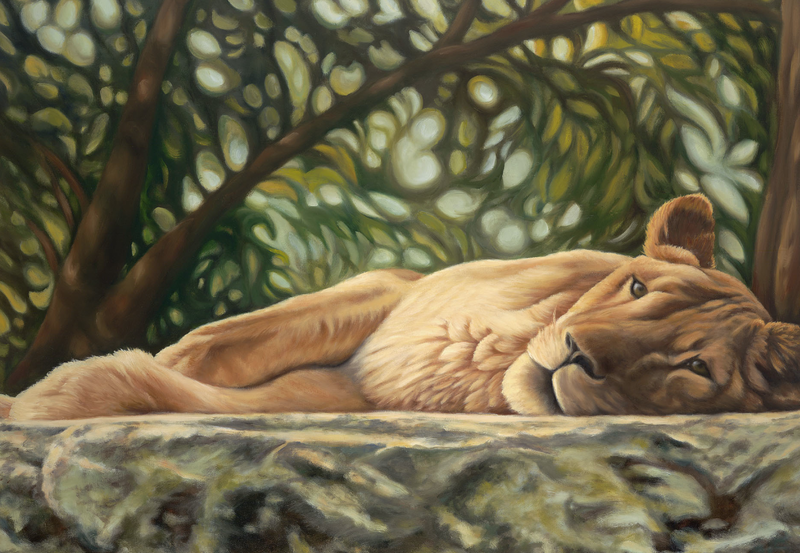 The first is for a chance to win a limited edition, fine art 36-inch by 48-inch reproduction on canvas of April’s collectable painting titled “Guana Cay II” and the other is for a chance to win a 2-year lease of a 2013 Lincoln MKZ, no purchase is necessary to participate in either giveaway. Additional details will be available at the Lincoln Motor Company booth. Browse April’s website here. We are excited to announce the unveiling of our brand new (and improved) design of our website, ArtFestival.com. This new design has been on the drawing board for several months now and we are thrilled with the final product. The much needed facelift was created to allow easier navigation for our visitors, including both artists and patrons; the large black boxes at the top of the page provide simple direction where your eyes naturally look first, versus where they used to be located further down each page of the site. In addition, the simple layout of each page allows you, the visitor, to both locate and read the information you were searching for quickly and easily. We have also added our new social media buttons to the site, which can be found at the bottom of each of the site’s pages. If you haven’t liked or become a fan of any of our social media sites, this would be a great time to do so! And we’ll become your fan in return! The designer of the site, Matt McMahan of JSE Computers, had a huge undertaking to make this site come alive from Howard Alan Events and American Craft Festival owners, Debbie and Howard Alan’s vision, but we feel it truly has been captured! Click HERE to view the new site now and then let us know what you think in the comments below! Please Note: If you are not seeing our new design yet or it is slightly distorted, simply delete your history and/or cookies on your computer and then refresh the page. Viola! You are cordially invited to the streets of San Marco to attend the free art festival taking place this weekend, November 17th & 18th, 2012. San Marco Boulevard will come alive with beauty in many forms through fine artwork paintings, sculptures, photography, glass, wood, jewelry, collages and mixed media. We invite you to come help support the arts and the local community. This top notch juried art event will feature more than 100 leading national artists as well as exceptional local and regional talent. A portion of the proceeds benefits the San Marco Association. A vast array of original handmade art, priced to suit all budgets, will be on display and for sale during this two-day art event, transforming historic downtown San Marco into an outdoor art gallery. Located on San Marco Blvd. We would like to thank our wonderful sponsors which include Comcast, Costco, Daily Billboard, Florida Home Improvement Associates, Geico Direct, and Times Union. This weekend, November 17th & 18th, 2012, the 20th Annual Downtown Dunedin Craft Festival is coming to town, specifically on Main Street. In our ongoing effort to support the Arts and the local economy, this free event which is open to the public, will be a great alternative to those who dread the thought of shopping in crowded malls , especially during the holiday season! This two day juried gallery style event showcases original handmade crafts and gift items priced to suit all budgets. The festival presents holiday shoppers with a head start on their holiday shopping and an alternative to crowded malls, all in a fabulous outdoor setting. This high-end juried event showcases the work of 100 of the finest local and national crafters who will line their booths along Main Street in downtown Dunedin. A Green Market will offer festival goers a broad selection of exotic plants, as well as dips and other gourmet items. The City of Dunedin, Florida sponsors the festival. Alternative option to holiday shopping in crowded malls. Green Market offering a wide variety of quality plants including exotics as well as dips and gourmet items. Special thanks to our sponsors Costco, Cadillac, Florida Home Improvement Associates and The St. Petersburg Times. The 11th Annual Holiday Craft Festival on the Ocean returns November 10 – 11, 2012 with 150 leading local and national crafters. This two day juried event is a gallery style showcase of original handmade crafts and gift items priced to suit all budgets. The festival presents holiday shoppers with a head start on their holiday shopping and an alternative to crowded malls, all in a fabulous outdoor setting. This event will help raise funds for the Jupiter Juno Beach Rotary Club. Admission is free and open to the public. The crafters will line this beautiful stretch of Juno Beach along AIA with their professional booths. All exhibitors will be present for the duration of the show available to discuss their techniques and inspiration as well as take commissions for new pieces. Whether you are a craft enthusiast or looking for that unique one-of-a-kind gift item, there is something for everyone. From folk art, pottery, handmade jewelry and paintings, to personalized gifts, handmade clothing, scented soaps and body products, a full spectrum of craft art mediums will be on display and for sale with prices ranging from as little as $3 to $3,000. In order to ensure a superior event with quality affordable original crafts, all of the local and national crafters have been hand-selected from hundreds of applicants by American Craft Endeavors, the largest producer of craft fairs throughout the country. Juried outdoor craft showcase featuring unique and affordable crafts handmade in America. Featuring leading local and national crafters. Vast array of craft mediums: from folk art, pottery, handmade jewelry and paintings, to personalized gifts, handmade clothing, scented soaps and body products. Prices set to suit all budgets, ranging from as little as $3 to $3,000. All crafters hand-selected from hundreds of applicants by American Craft Endeavors, producers of the top outdoor craft festivals in the country. All crafters on site for duration of festival. The festival is located on A1A (Ocean Boulevard) on Juno Beach overlooking the beach. Take I-95 to Jupiter, and exit on Donald Ross Road. Head east to A1A on the beach. At Donald Ross Road and US 1, go north, and enter the show site through Loggerhead Park. Drive east through the park to A1A. Special thanks to our sponsors: Classical South Florida, Florida Home Improvement Associates, Juno Beach Rotary and the Palm Beach Post. Sarasota welcomes back its signature fall art festival November 10 – 11, 2012. Consistently ranked among the top 100 outdoor-juried art events in the country, St. Armands Art Festival features more than 200 of the nation’s leading artists as well as top local and regional talent. Admission is free and open to the public. A vast array of original handmade art, priced to suit all budgets, will be on display and for sale during this two-day art festival. The artistic media represented include paintings, life size sculpture, photography, glass, wood, jewelry, collage, mixed media and ceramics with prices ranging from $25 hand-designed earrings to $30,000 metal sculptures. The artists will line St. Armands Circle with their professional display booths and transform this charming retail and dining district into a first-class outdoor art gallery showcasing their finest work around the entire circle. The east and west bound lanes of South Boulevard of the Presidents will be closed to vehicular traffic for the safety and convenience of festival patrons. The artists, juried by an independent panel of expert judges and hand-selected from hundreds of applicants based on quality and diversity, will be present for the duration of the festival, available to discuss their art and inspiration. The event appeals to families and people of all ages as a free and fun weekend activity, as well as serious art buyers looking to add to their collections. Special thanks to our sponsors: Comcast, Geico Direct, and the Sarasota Herald Tribune. Central Florida’s top craft venue welcomes back The Villages Craft Festival to Spanish Springs Town Square this weekend, November 3rd & 4th, 2012. The country’s leading crafters will display their finest work during this two day juried craft event and will be present for the duration of the show available to discuss their crafts, inspiration and even take commissions. Admission is free and open to the public. For additional information on the 16th Annual The Villages Craft Festival and any other American Craft Endeavors craft shows across the country, please visit www.artfestival.com, join our Facebook Page at www.Facebook.com/AmericanCraftEndeavors or call 561-746-6615.